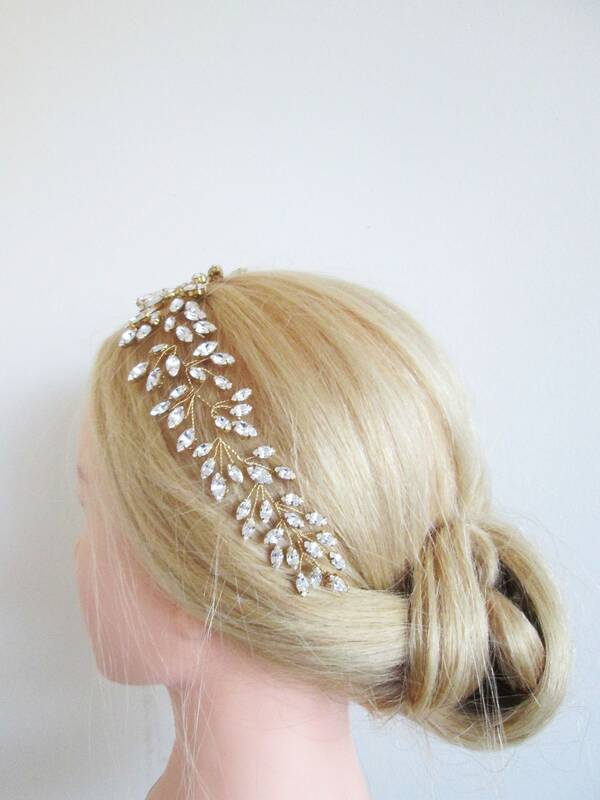 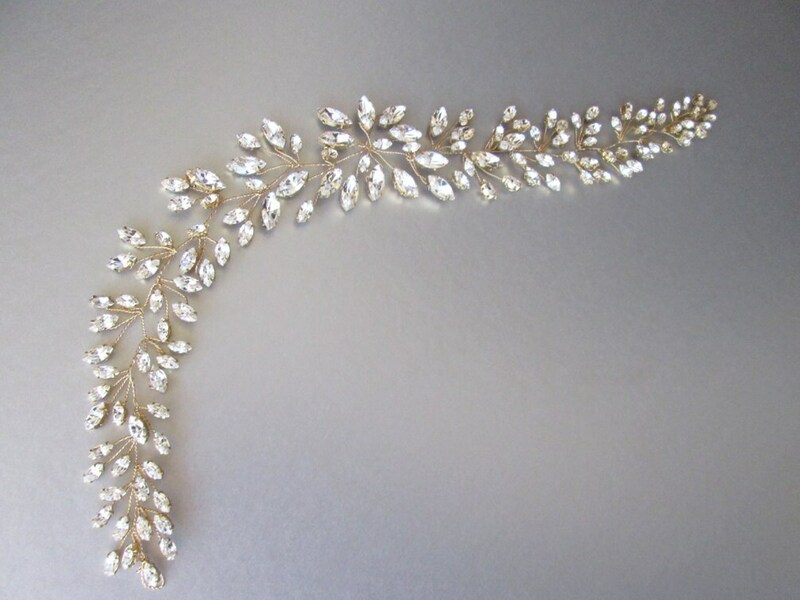 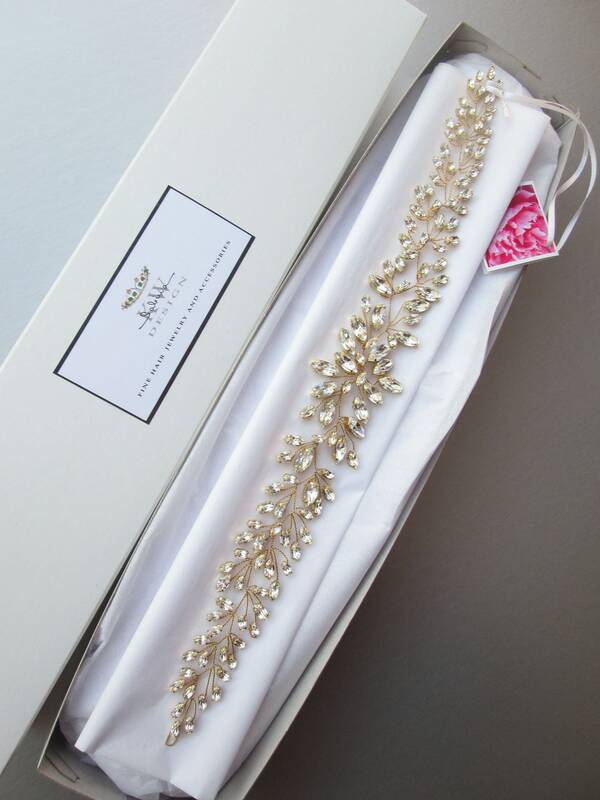 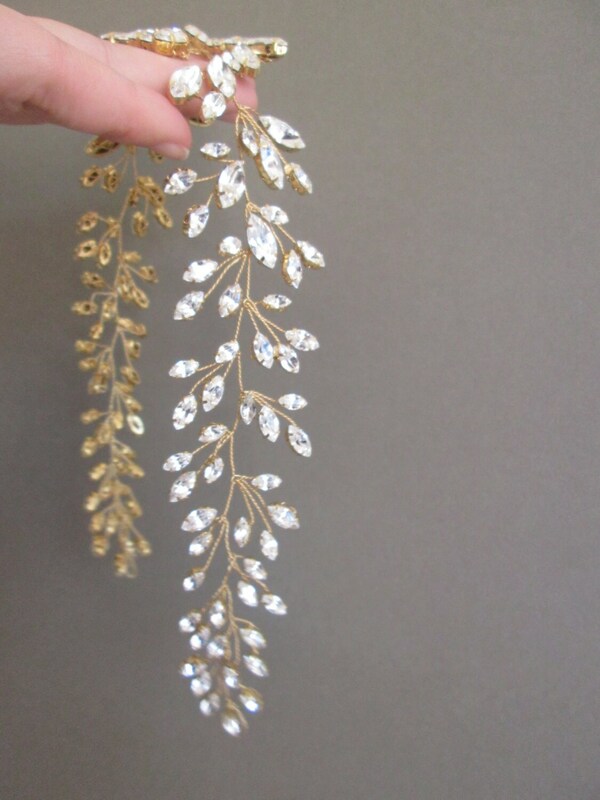 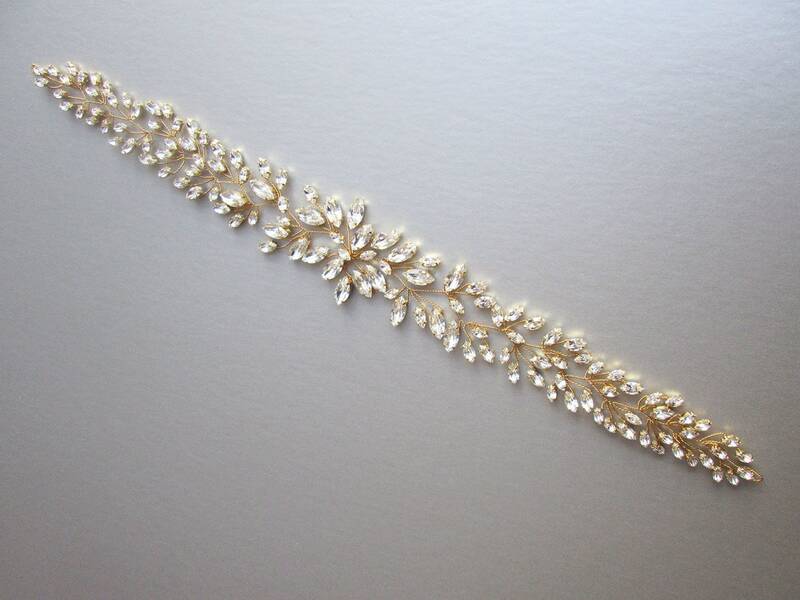 This stunning hair vine is made with beautiful Swarovski crystals that dazzle and sparkle with every move. 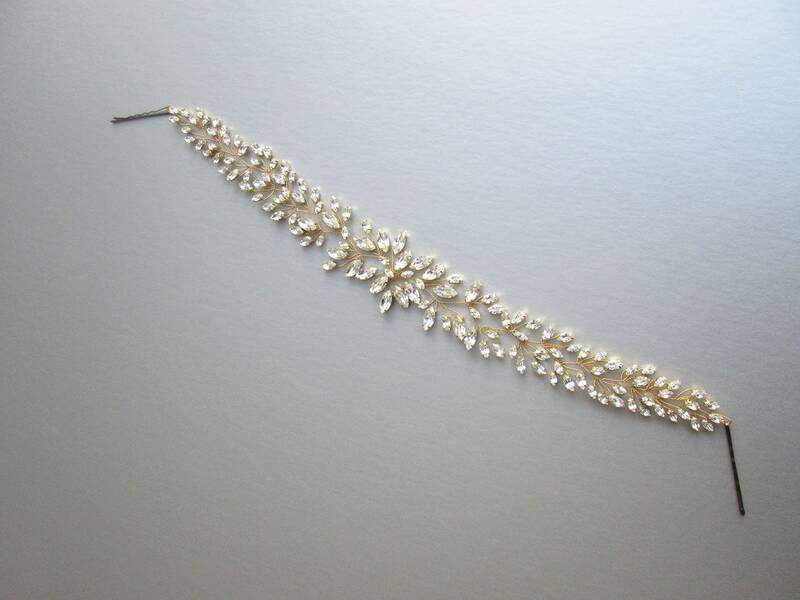 This hair vine is super flexible and shapeable and can be worn as a headband or a hair vine. 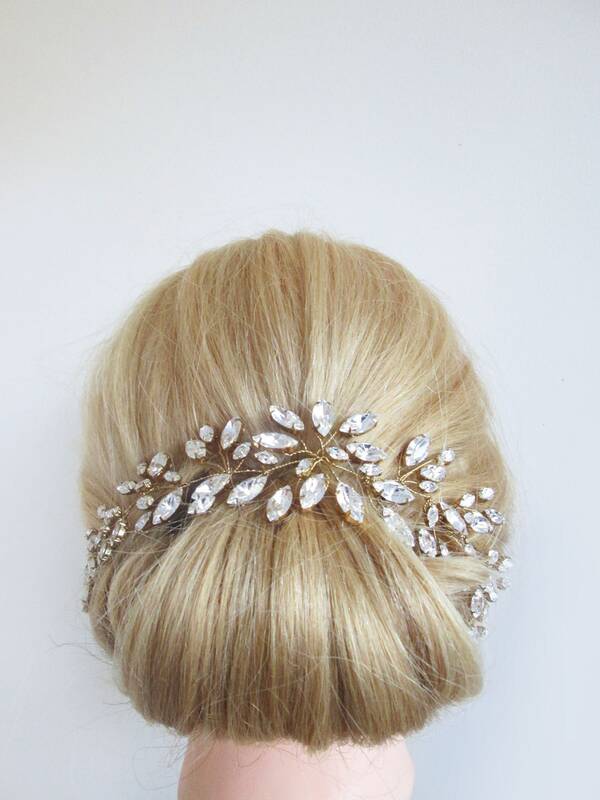 It comes with satin ribbons attached for tying it in the hair. 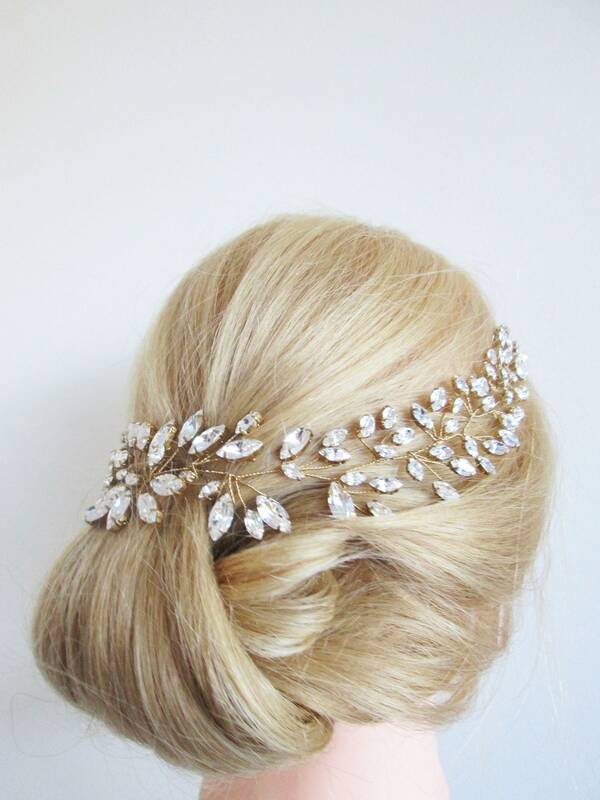 It can also be positioned in your hair with bobby pins instead of the ribbons. 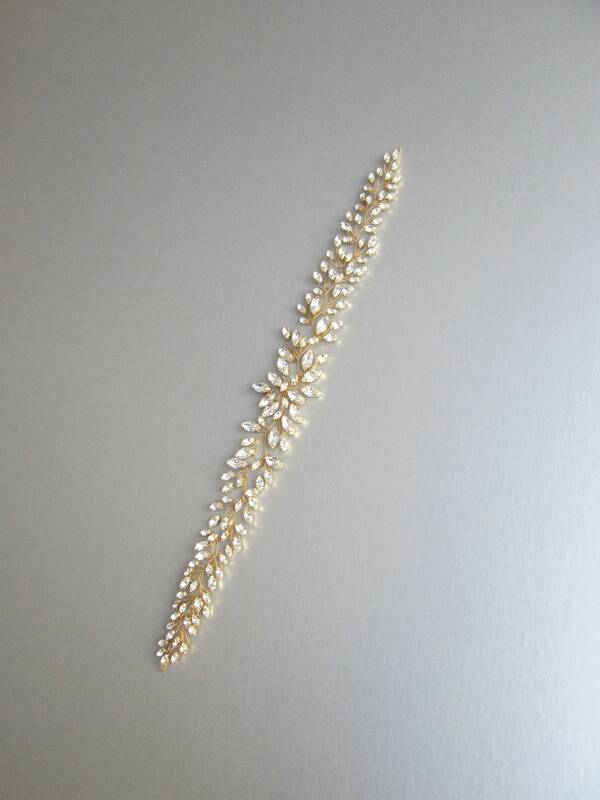 This hair vine measures about 16" long and about 1 1/2" wide at the widest point. 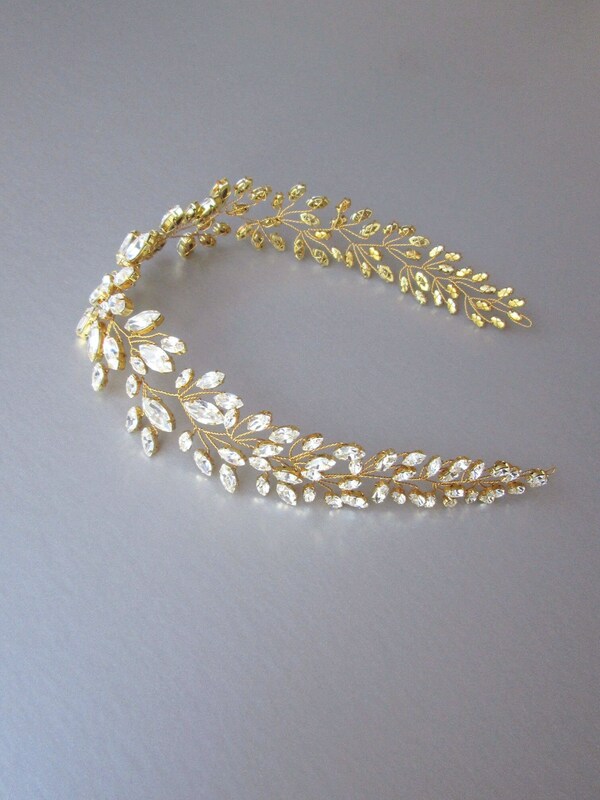 Available in silver, rose gold or gold finish.